In our routine business, we might face situation like we may have to assign unique product serial number or production lot number during delivery of order, so we can track our products in case of returns or anything. 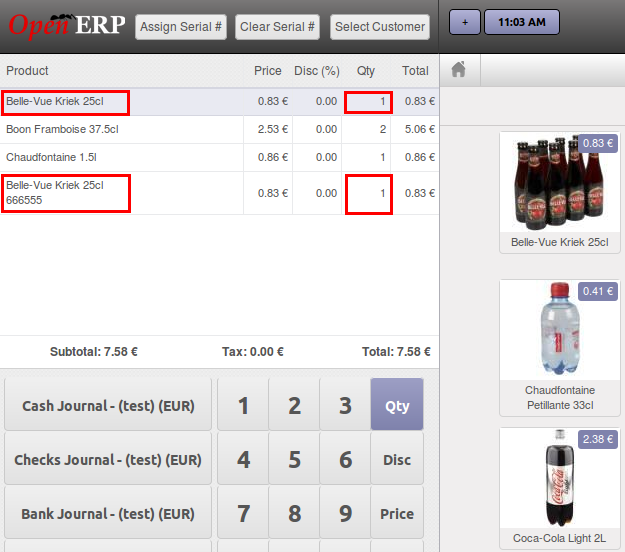 Here we have developed a module which takes care during delivery from warehouse and sale from Point of Sale (POS). Here are the screens that shows how actually it works. Below is the product form in which we can have option like, If Serial Number is required for this product or not during delivery. Now we are selecting product for delivery without serial/production lot number and going to process from “Process Now” button in below screen. 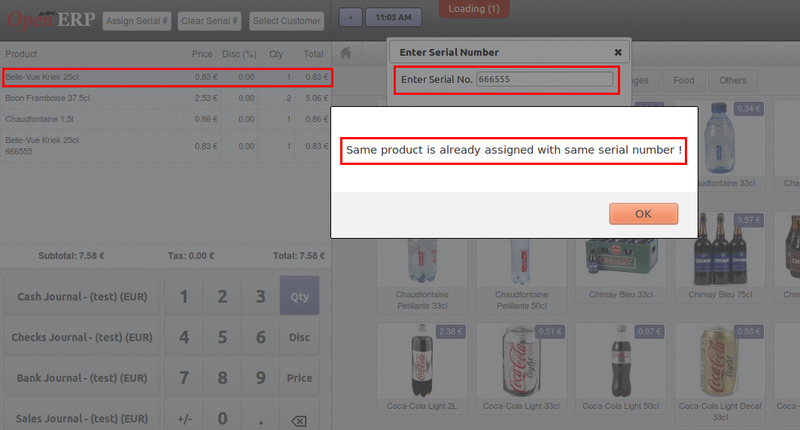 But now we have to check that selected product’s serial is required or not. If it is required then OpenERP will not allow us to process without entering serial number. Now we are going to assign serial number. We can see in below screen, that product has been split into different quantity with assigned production lot number. Now for remaining products, if we will try to assign same production lot number then it will raise an error message and it will not allow us to enter duplicate serial number. So this is all about assigning serial number from delivery order. We have developed feature to assign unique serial number during POS Sale. Lets go through following screens one by one. Here is the screen in which we have multiple options to Assign Serial #, Clear Serial #, Select session wise customer. In below screen we can see that selected product has 2 quantity and we are trying to assign serial number. This product will be checked in our product form as well that Serial Number is required or not during selling. Once we assign serial number, product will be split by 1 quantity having serial number and remaining quantity without serial number will be as it is. Now here the important point is, we are trying to assign same product, same serial number. So it will not allow us to do this, as serial number should be unique. So we have assigned different serial number for same product having one quantity. And we have the receipt for same products. Now, at last we can see that we have Production Lot in POS Order form and from here we can send it to invoice and can continue our normal business flow. There may be any changes as per requirements that can be done in current developed module or new module. Please find link for the video which shows how it works in POS. is there version 7 compatible? i can’t see ver-7 pictures like ver-6.